Recently I had an opportunity to taste a variety of radish that I hadn’t previously known about – the so-called “watermelon” radish. They do look like little slices of watermelon, don’t they? 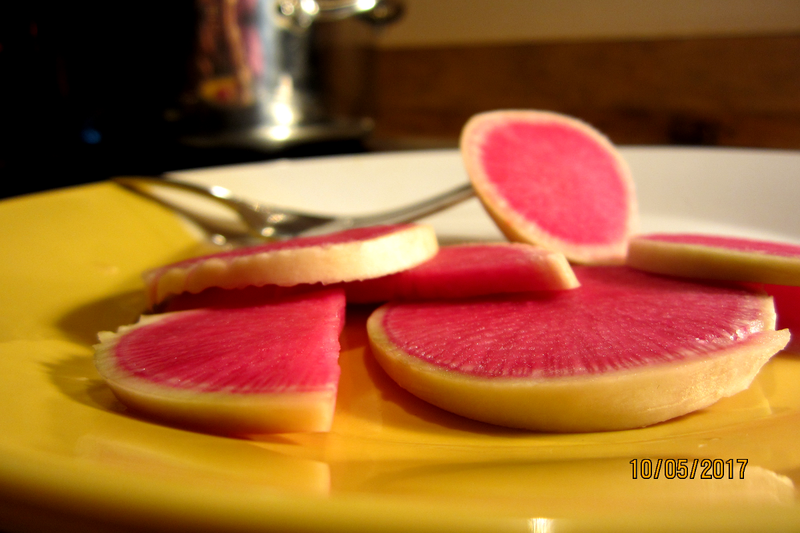 These came from (Kristen and Jason’s) Red Root farm, and they are tastey. I rarely come across a radish I don’t like, but then again I’m fond of turnips and rutabaga as well.